Affordable monthly rates for small shops and flea market booths. Daily or weekend rates for temporary spaces. Weldon Town Center is now ready for vendors. The former super 10 building in Downtown Weldon has been converted into shops and flea market stalls. 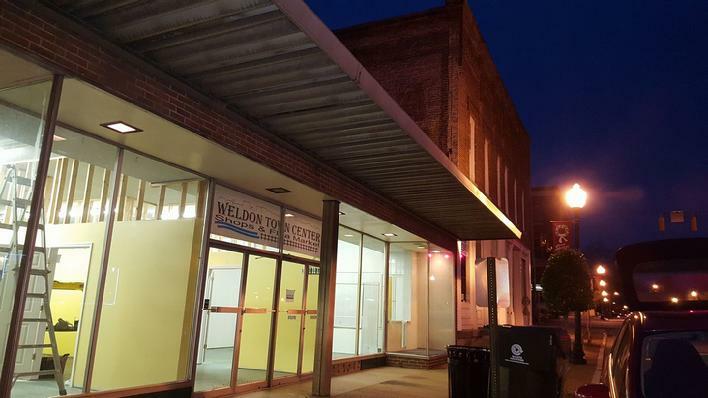 Vendors will enjoy the indoor atmosphere with heating and cooling and WiFi as well as an advertising campaign to promote Downtown Weldon as a destination for Bargain Shops. Vendors are encouraged to call Andy Whitby for an opportunity to view the facility, select their vendor space, complete their paperwork and make plans to move in. Below vendors can view the lease agreement and the floor plan of the building. Contact us Today to reserve your business location. Fill out the form below if your are interested in renting a shop or flea markert booth in the Weldon Town Center. Weldon Town Center is now open and accepting vendors. The former super 10 building in Downtown Weldon has been converted into shops and flea market stalls. Vendors will enjoy the indoor atmosphere with heating and cooling and WiFi as well as an aggressive advertising campaign to promote Downtown Weldon and its businesses as a Bargain Shop and Flea Market Mecca. Vendors are encouraged to call Andy Whitby for an opportunity to view the facility, select their vendor space, complete their paperwork and make plans to move in. Vendors can also visit www.weldonnc.com to view the lease agreement and see a floor plan of the building. We envision Weldon Town Center to be a place where vendors will not only engage with customers in the traditional way of one on one selling but also a place to market their merchandise on the internet, says Andy Whitby the developer of the project. Weldon Town Center will provide vendors with WiFi allowing them a great connection to the internet. This will allow their retail space to also serve as a place from which to market themselves and their merchandise on the internet in places like Facebook group sites, ebay and others. If vendors are not familiar with this, WTC will assist by holding classes in internet marketing, providing an attractive area for taking photos and providing a shipping center. Weldon Town Center plans on expanding the flea market and bargain shop theme in the Summer with outdoor spaces and sponsoring festivals. Customers will enjoy a flea market atmosphere with the comfort of being indoors. With the weather not being an issue, customers will be able to enjoy their shopping experience as long as they like. Vendors are encouraged to call Andy Whitby at 252-532-7504 and visit www.weldonnc.com and www.facebook.com/WeldonTownCenter for more information.